*Disclaimer - I received the products in this post from Just Play Products, in order to facilitate this review. Are you looking for a fun way to introduce Vampirina? I have seen so much cuteness surrounding the Disney Junior show, Vampirina and just had to see what she's all about for our 9-year-old daughter and almost 16-month-old daughter too. 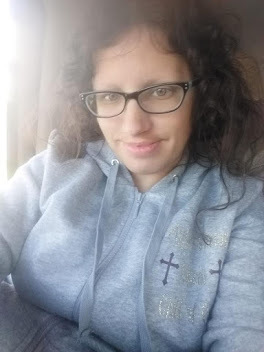 Our oldest daughter has heard a lot of good about her, but since we don't have cable we're only able to see bits and pieces unless we buy the DVD. So, I was really excited to find out we'd be able to get this adorable Disney Junior Vampirina Ghoul Girl Doll from Just Play Products. They have so many great toys for kids of all ages, but these two products are just cute and I know our kids will love them. 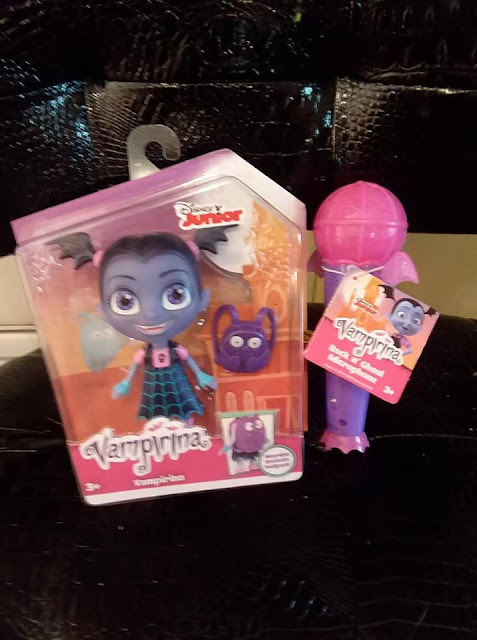 If your child loves to pretend to use a microphone to sing her little heart out, then she will love the adorable Vampirina Rock N' Ghoul Microphone as well. I love to watch our kids pretending to be on stage singing sometimes and this one is a great asset to add to the toy aspect of singing! Our kids will quickly learn fun songs from Vampirina! - Has a fun design based on the show!